Through a series of lively and absorbing portraits of iconic modern Chinese leaders and thinkers, two of today's foremost specialists on China provide a panoramic narrative of this country's rise to preeminence that is at once analytical and personal. How did a nation, after a long and painful period of dynastic decline, intellectual upheaval, foreign occupation, civil war, and revolution, manage to burst forth onto the world stage with such an impressive run of hyperdevelopment and wealth creation-culminating in the extraordinary dynamism of China today? 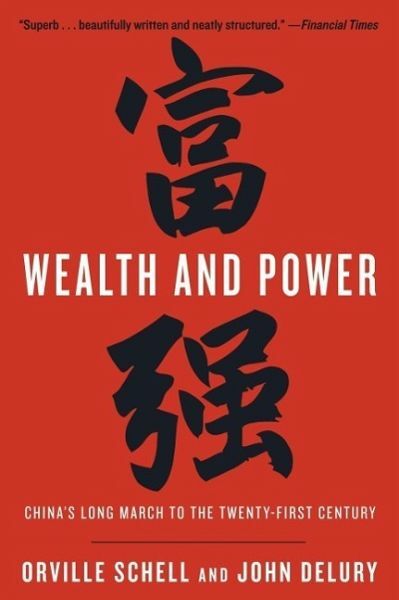 Wealth and Power answers this question by examining the lives of eleven influential officials, writers, activists, and leaders whose contributions helped create modern China. This fascinating survey begins in the lead-up to the first Opium War with Wei Yuan, the nineteenth-century scholar and reformer who was one of the first to urge China to borrow ideas from the West. It concludes in our time with human-rights advocate and Nobel Peace Prize laureate Liu Xiaobo, an outspoken opponent of single-party rule. Along the way, we meet such titans of Chinese history as the Empress Dowager Cixi, public intellectuals Feng Guifen, Liang Qichao, and Chen Duxiu, Nationalist stalwarts Sun Yat-sen and Chiang Kai-shek, and Communist Party leaders Mao Zedong, Deng Xiaoping, and Zhu Rongji. 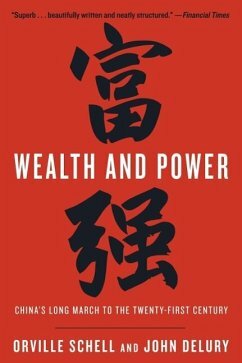 The common goal that unites all of these disparate figures is their determined pursuit of fuqiang, "wealth and power." This abiding quest for a restoration of national greatness in the face of a "century of humiliation" at the hands of the Great Powers came to define the modern Chinese character. It's what drove both Mao and Deng to embark on root-and-branch transformations of Chinese society, first by means of Marxism-Leninism, then by authoritarian capitalism. And this determined quest remains the key to understanding many of China's actions today. By unwrapping the intellectual antecedents of today's resurgent China, Orville Schell and John Delury supply much-needed insight into the country's tortured progression from nineteenth-century decline to twenty-first-century boom. By looking backward into the past to understand forces at work for hundreds of years, they help us understand China today and the future that this singular country is helping shape for all of us. NAMED ONE OF THE BEST BOOKS OF THE YEAR BY ST. LOUIS POST-DISPATCH "Superb . . . beautifully written and neatly structured. "-Financial Times "[An] engaging narrative of the intellectual and cultural origins of China's modern rise. "-The New York Times Book Review "Informative and insightful . . . a must-read for anyone with an interest in the world's fastest-rising superpower. "-Slate "It does a better job than most other books of answering a basic question the rest of the world naturally asks about China's recent rise: What does China want? "-The Atlantic "The portraits are beautifully written and bring to life not only their subjects but also the mood and intellectual debates of the times in which they lived. "-Foreign Affairs "Excellent and erudite . . . [The authors] combine scholarly learning with a reportorial appreciation of colorful, revealing details. "-The National Interest From the Hardcover edition.